Be the first to hear about their new releases and deals. Download the Booksprout app and search for Robin Lythgoe today! 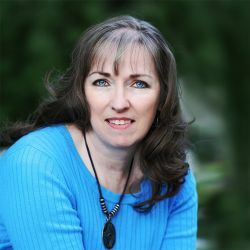 Reading and writing have always been a part of Robin Lythgoe’s life, and she is particularly drawn to fantasy. When she was growing up, her mother often led expeditions to the library, from which the entire party invariably returned laden with a stack of books guaranteed to make the arms longer. Those trips to the library—and her family's own collections—introduced her to the likes of Mary Stewart, Anne McCaffrey, J.R.R. Tolkien, C.S. Lewis, R.A. MacAvoy, Terry Brooks, Terry Goodkind, and Tad Williams. When she's not reading or writing, Robin likes to spend her time doing digital artwork, genealogy, and cooking. She lives in Utah Valley, Utah with her husband. Happily, their four children live nearby. Today she writes tales about wizards and magic, fantastical places and extraordinary journeys.